"What location would you suggest if we wanted something more urban/edgy /artsy? As you know, Paul and I are a bit weird so we're not going for the traditional pleasant park photos--ha ha." That was what Melissa wrote when we were discussing possible locations for their family portrait session. 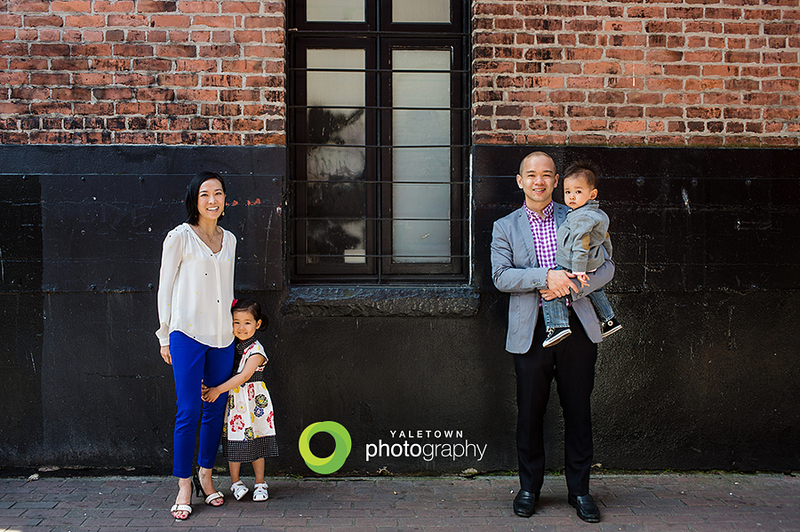 In the end, we decided on Gastown, which happened to be a perfect location to feature this unique & lovely family. 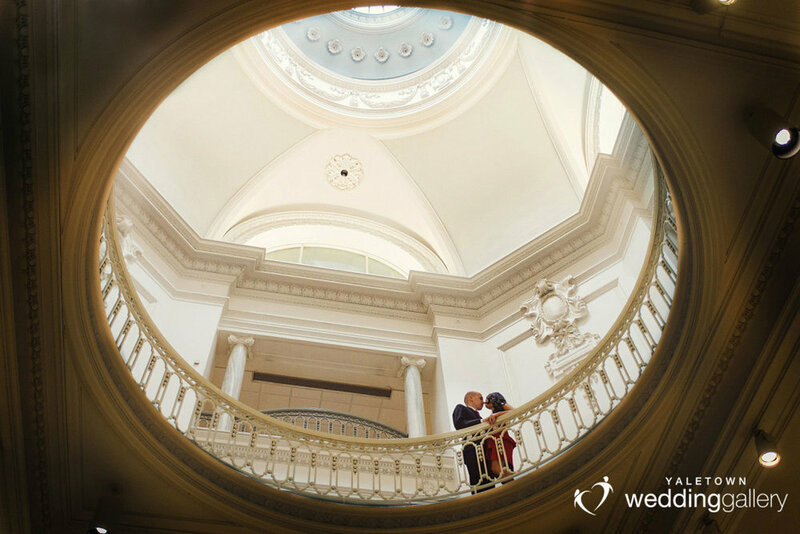 We're more accustomed to photographing weddings in Gastown, but family sessions work equally as well in this great historic location. This shot of them by the chain link is my most favourite image of the two of them and really captures the true essence of who they really are at this precious stage in their life. I'm sure many of your have seen the photo of the bridal party being attacked by a giant T-Rex. It's a photo composite that's gone viral and Paul wanted to stage something fun like that for this photoshoot. So, instead of the T-Rex, we did a snake attack off the Harbour Tower. It was great fun sourcing the right snake for the shot and then doing the photoshop work behind it. Not completely realistic-looking when you're working with a plastic snake (I would never call myself an expert compositor), but I think the results look pretty hilarious!